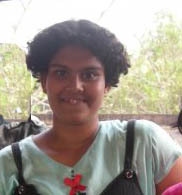 Evlyne Bagewadi aged 14 died in an accident at Chenamma circle. She was going along with her mother, who is also injured. A truck hit their vehicle and caused this accident. Elina was a class 9th student of St.Joseph school camp.